Even today, agriculture is the main driver of Indonesia’s economy, providing households with food and income. The agricultural lifestyle shapes an indigenous farming culture that, in turn, forms how a lot of Indonesians go about their day-to-day lives. Discover the detailed history of Indonesia’s indigenous farming culture. Farming and agriculture in Indonesia thrived even before the country existed in its current form. Before colonialism, the area that now forms Indonesia was governed by separate ancient kingdoms. Agriculture contributed significantly to the kingdoms’ economies. The islands’ agricultural potential is one of the main reasons that colonialists were drawn to Indonesia, along with the country’s strategic location on busy trade routes. Colonialism gave agriculture in Indonesia a little push. Instead of the usual carbohydrate crops like rice, corn, and cassava, farmers were ordered by Dutch authorities to cultivate commodities that were highly valuable on the global market. These included coffee, tea, tobacco, and sugar cane. Eventually, that led to a significant decrease in the production of products for everyday use, resulting in famine in several areas of Indonesia. The Japanese occupied the Dutch East Indies (now Indonesia) from 1942 to 1945. 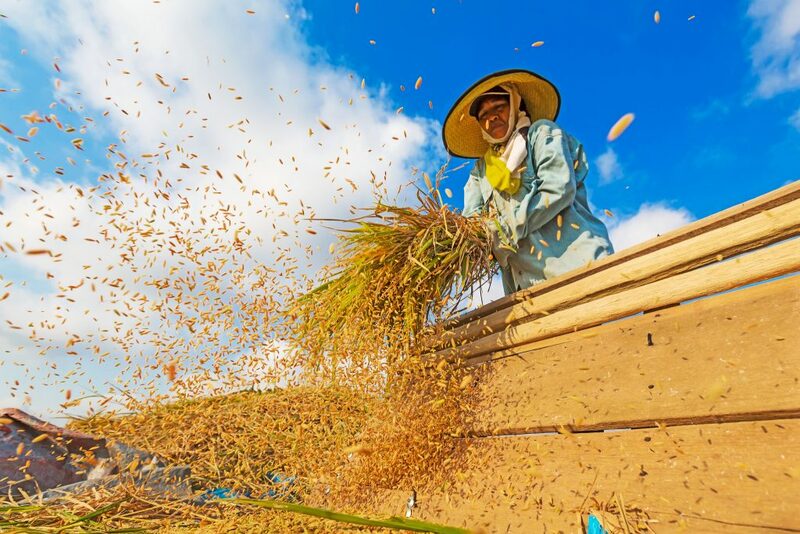 They shifted the focus of farming back to carbohydrates, especially rice. After independence, especially during the New Order era (1969-1998), rice remained the main crop pushed by the government. However, the production of other crops continued. In 2017, Indonesia is the world’s largest producer of palm oil, the fourth largest producer of coffee, the fifth largest producer of tobacco, and the sixth largest producer of tea. Like many other aspects of Indonesians’ life, farming has been influenced by the rise and fall of religions and kingdoms. The Balinese incorporate the principles of Tri Hita Karana into their farming customs. This is a Hindu tenet that promotes harmony between humans and God, other humans, and the environment. In Bali, temples and offerings are constructed around water sources, farming is organized around communities, and rice terraces have been built to irrigate fields without wasting water resources. Balinese coordinate farming communities according to nature. Farmers who irrigate their fields from the same spring or water source belong to the same community. Those communities organize the development of farming, solve issues, control water distribution, and arrange religious ceremonies. The traditional system is still in operation in Bali today. 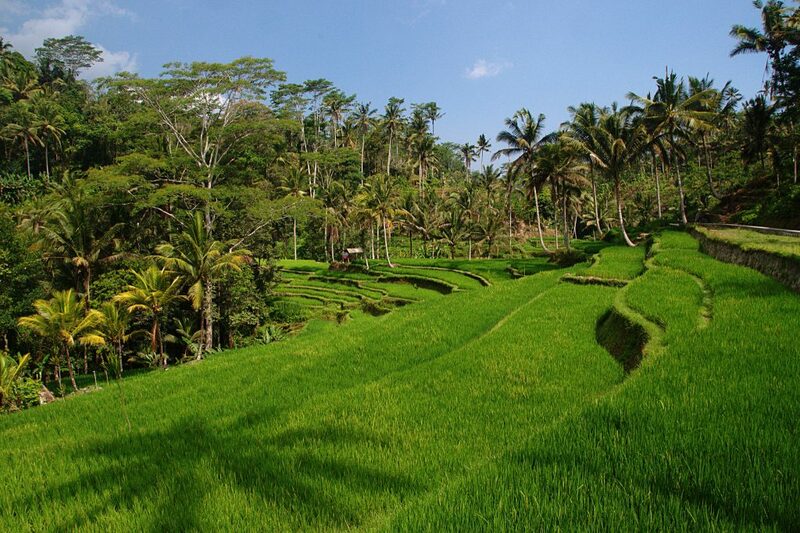 The cultivation of rice and other crops is also important to social systems and communities in other parts of Indonesia. To irrigate and cultivate the land effectively within a specific area, relationships are formed between farmers, between land-owners, between farmers and land-owners, and between daily workers. Rice terraces similar to those found in Bali can be found in other parts of Indonesia too, such as Sumatra and Sulawesi. However, they follow different philosophies because different belief systems are dominant in these areas. The organization and farming of rice terraces in those areas reflect local wisdom about how to farm in mountainous areas while preserving water. Javanese people are very philosophical about farming. Traditional Javanese farmers view farming not only as labor but as a spiritual and existential duty. The farmers know what, where, and how to plant, and follow pranoto mongso, or traditional seasonal rules, about what to plant at certain times for maximum results while preserving the balance of nature. The Javanese also continue to use traditional farming tools.